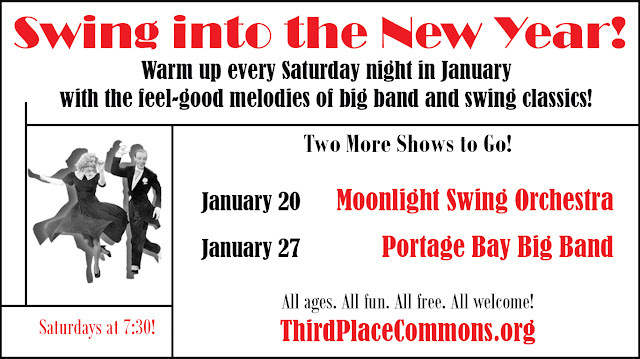 The Swing into the New Year music series is indeed in full swing at Third Place Commons, and there are still two more fabulous chances to enjoy this lively series. This Saturday, January 20th the Moonlight Swing Orchestra will take the stage at 7:30pm for a delightful evening of big band tunes featuring all your favorites from the Great American Songbook. Remember that Third Place Commons hosts hundreds of free events every year including live music every Friday and Saturday night when dancers are always welcome!